Benefits Of Swedish Bitter For Stomach Pain And Cramps? - YeastInfection.Org by Eric Bakker N.D.
You are here: Home / Diet And Yeast Infection / Benefits Of Swedish Bitter For Stomach Pain And Cramps? January 23, 2015 by Eric Bakker N.D. If you look at our modern diet, you will find that we have almost completely eliminated bitter substances. These do not taste ‘appealing’, so we refuse to ingest them. However, avoiding specific types of food can harm our digestive system. Bitter substances can prevent acidification of the body, improve metabolism, reduce bloating and flatulence, improve bile, and improve kidney and liver function. Despite the fact that the taste is rather unpleasant, there is a range of health benefits to the use of Swedish bitters. These Swedish bitters often include senna leaves, flowering ash, aloe, myrrh, rhubarb, and angelica. Even though they are not particularly tasty to down, Swedish bitters can be used as a digestive aid to help reduce excessive fullness and painful bloating. This is because Swedish bitters can help increase the production of stomach acid and digestive enzymes, which are needed for breaking down our food. How it aids digestion and helps our stomach? The reason that Swedish bitters can help with digestion is because they stimulate peristalsis. These are the contractions in our body that pushes food alongside our digestive system. This means that Swedish bitters are not just able to help with digestion, but may even eliminate problems with mild constipation. It is also important to note that Swedish bitters stimulate the production of hydrochloric acid. This can help maintain a healthy, acidic environment in the stomach. This is especially important for those who have issues with stomach pains, stomach cramps, and people who need to re-balance their gut flora. 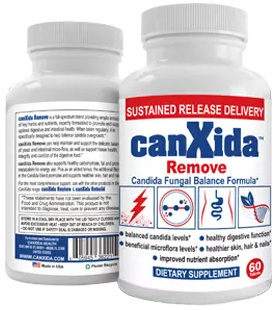 Especially those who struggle with Candida might experience a great deal of benefit from using Swedish bitter. It aids in the production of bile? The reason that Swedish bitters can help an upset stomach is because it increases the production of bile and forces the gallbladder to increase bile excretion. This is believed to be because of the stimulation caused by the bitter taste. Bile is essential for the absorption of fat-soluble nutrients and fat digestion. This includes such important vitamins as A, D, and E.
How do you take Swedish bitters? Even though it seems straightforward enough, taking Swedish bitter is not as simple as merely placing one or two drops wherever you want. You want to stimulate your tongue’s bitter receptors. This is what will ultimately stimulate your production of the digestive enzymes. Because these are located on the back of your tongue, you need to make sure that the bitters go there. Throughout Europe, bitters are taking to stimulate digestion before or after meals in a small shot glass. This can help neutralize the damages of alcohol and help settle the stomach before eating. It is also possible to aid against indigestion after a particularly heavy meal. The use of these bitters may even help relieve gas and bloating. Because of the strong, bitter flavor, it is recommended that you place your bitters in juice, herbal tea, or water. This is going to make the bitter taste slightly more bearable to drink down.